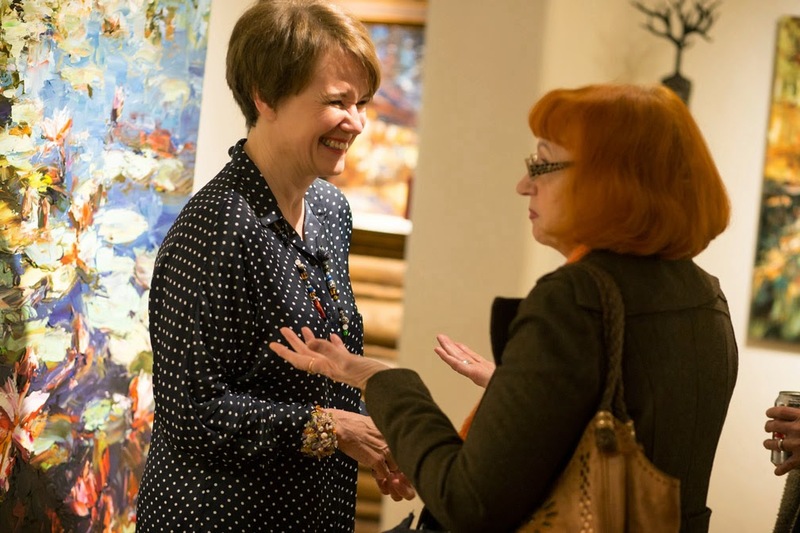 Lyudmila Agrich unveiled her 'RHYTHM' exhibition at Mirada Fine art on Friday night, May 8th, and the full house thoroughly savored her new body of work. 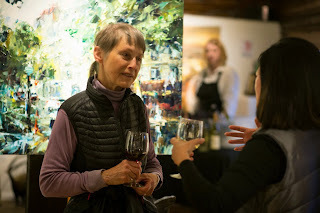 Here are some photos from the event! 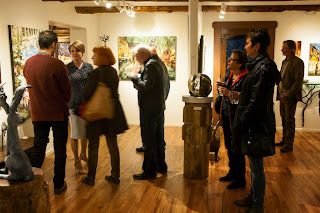 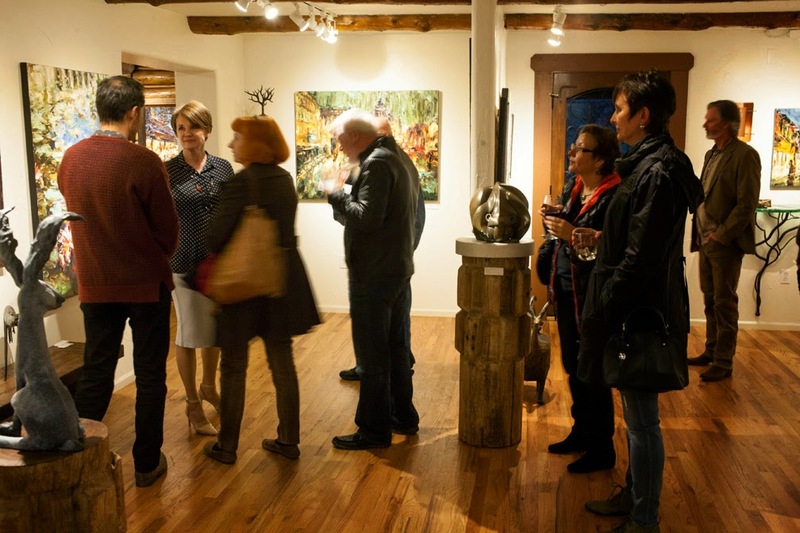 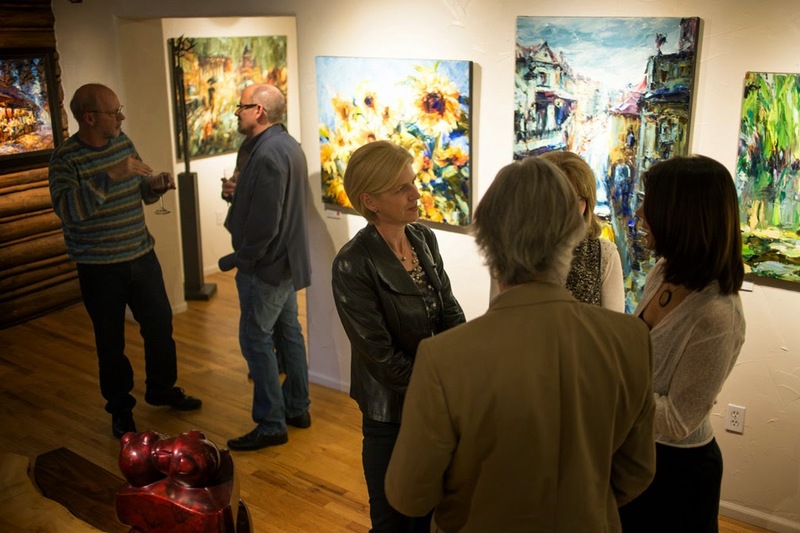 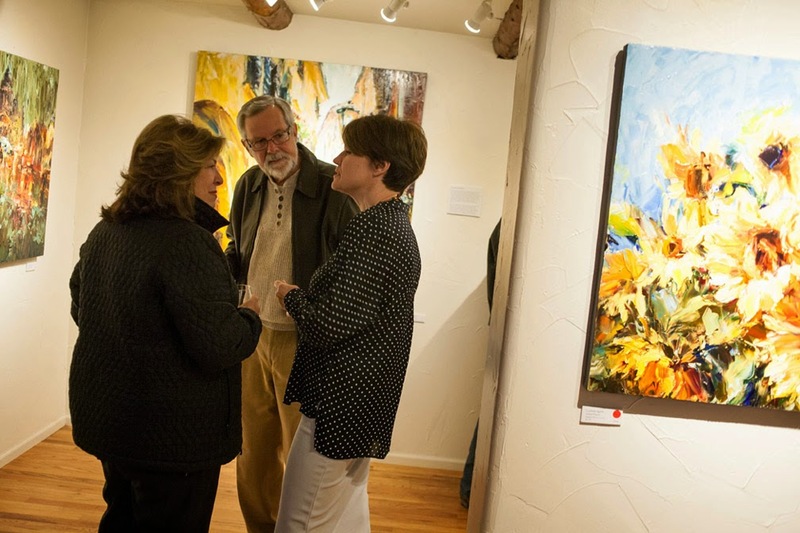 Lyudmila Agrich's opening reception of her 'RHYTHM' exhibition at Mirada Fine Art. 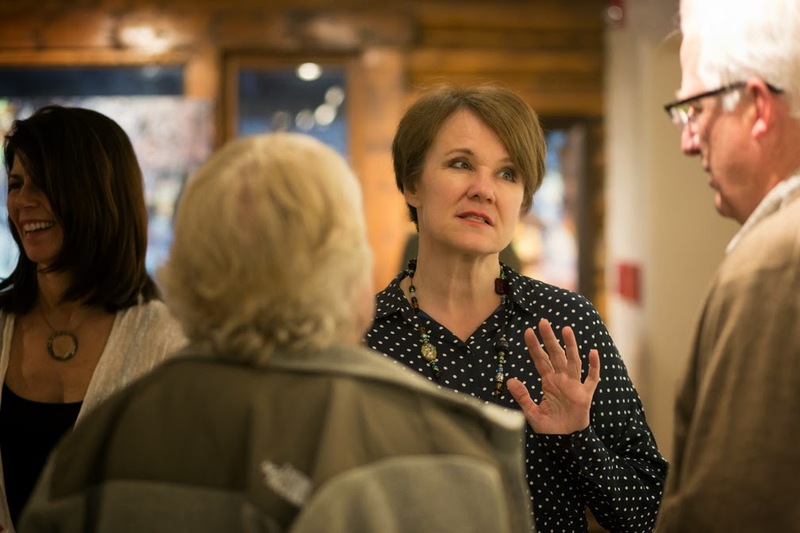 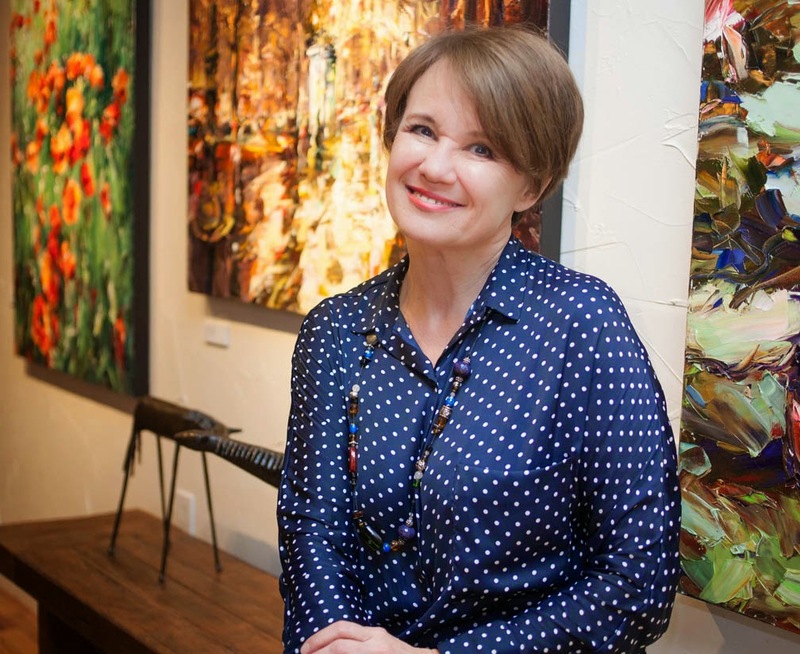 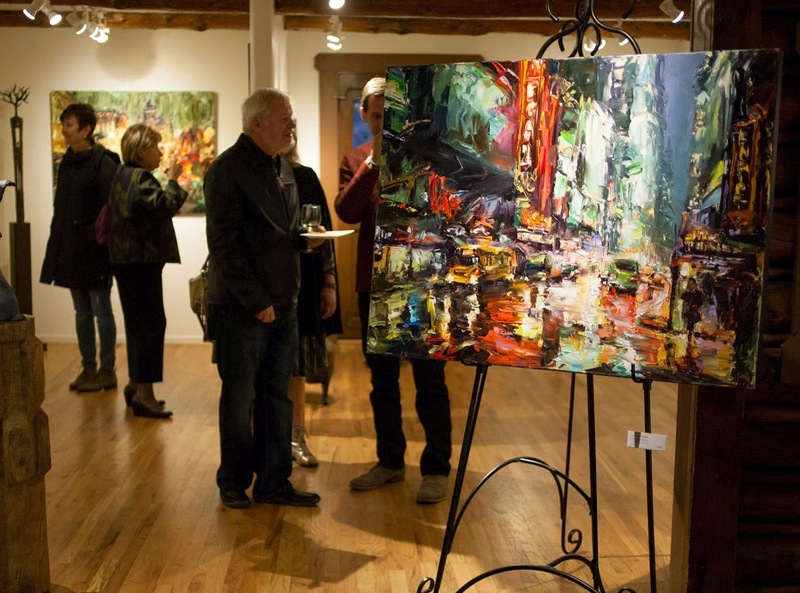 Lyudmila Agrich discusses her artwork at Mirada Fine Art. 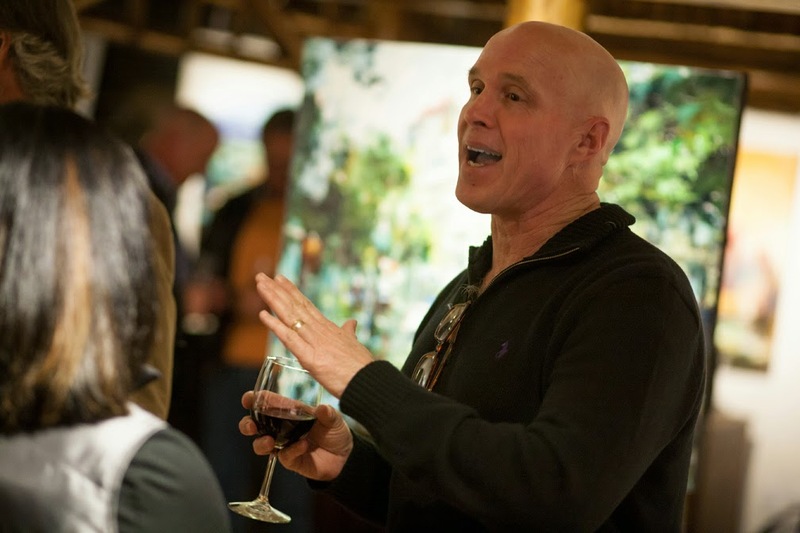 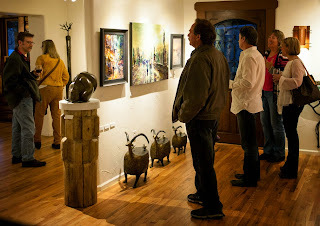 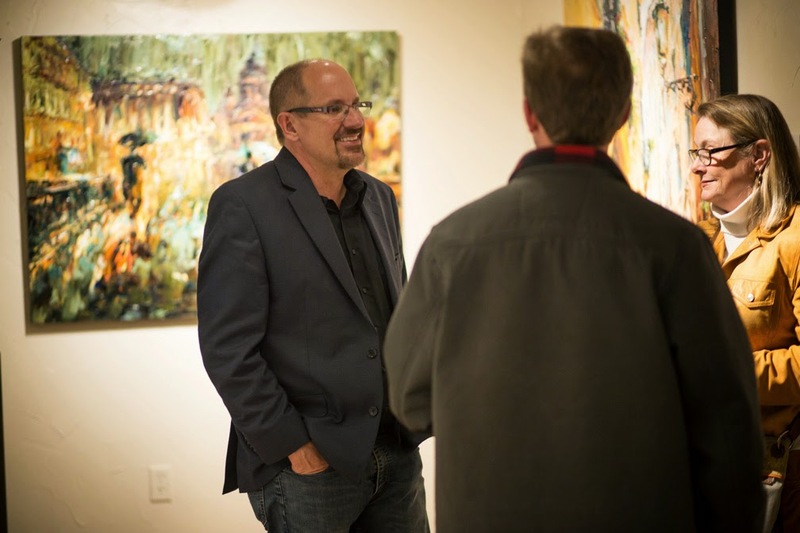 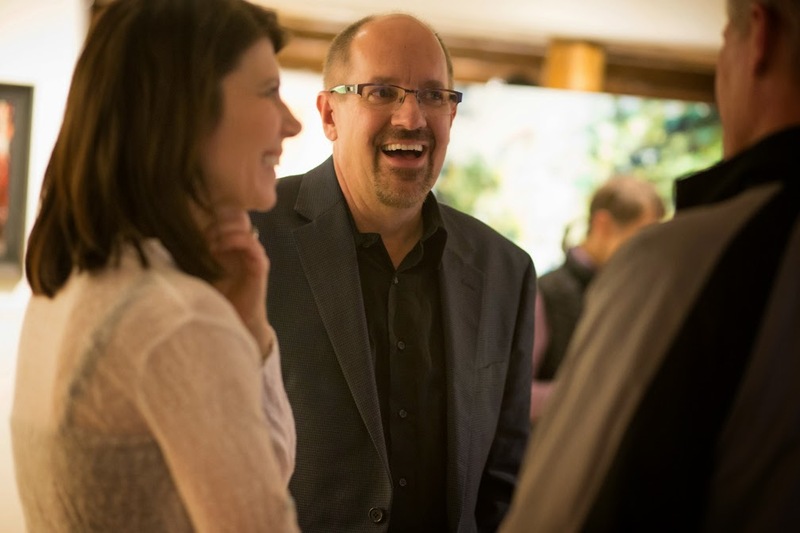 Steve Sonnen, owner of Mirada Fine Art, enjoys the opening reception of Lyudmila Agrich's 'RHYTHM' exhibition. 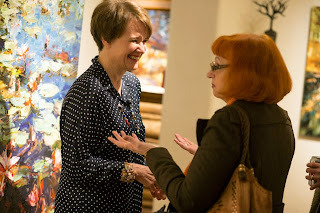 Lyudmila Agrich enjoys the opening reception of her 'RHYTHM' exhibition at Mirada Fine Art. 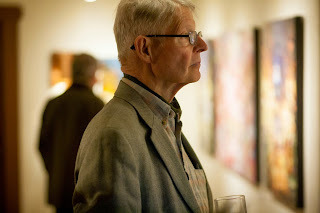 Brad Thompson enjoys the opening reception of Lyudmila Agrich's 'RHYTHM' exhibition at Mirada Fine Art. 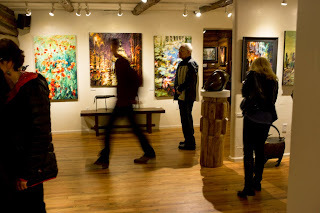 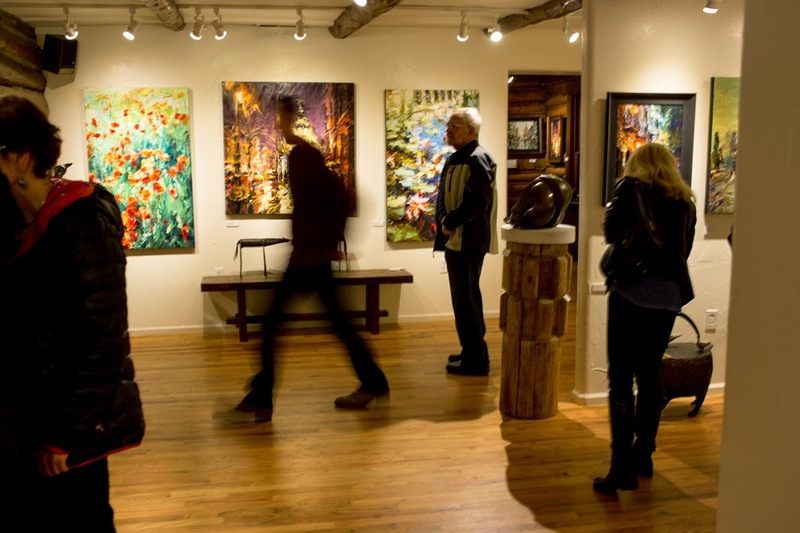 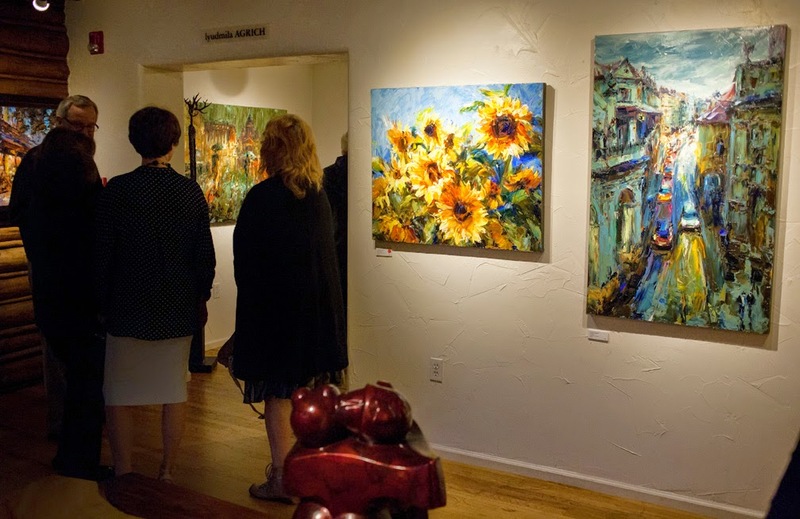 Admiring the artwork of Lyudmila Agrich at Mirada Fine Art. 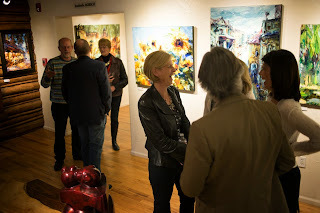 Lydumila Agrich unveils her new artwork at the opening reception of 'RHYTHM' at Mirada Fine Art. 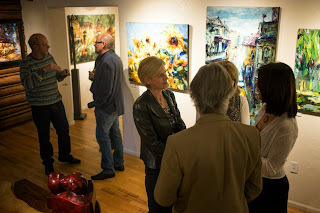 Lyudmila Agrich at Mirada Fine Art. 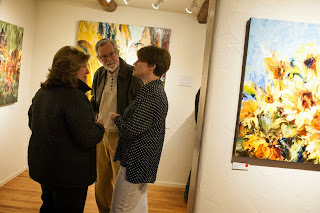 Steve and Jenni Sonnen, owners of Mirada Fine Art, enjoy the opening of Lyudmila Agrich's 'RHYTHM' exhibition. 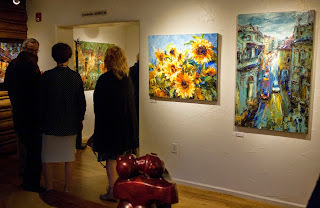 Patron at Mirada Fine Art enjoy the opening reception of Lyudmila Agrich's 'RHYTHM' exhibition. Opening night of Lyudmila Agrich's 'RHYTHM' exhibition at Mirada Fine Art.